Netflix has released a new "DEATH NOTE" movie clip featuring a pivotal scene where the detective L confronts Light. 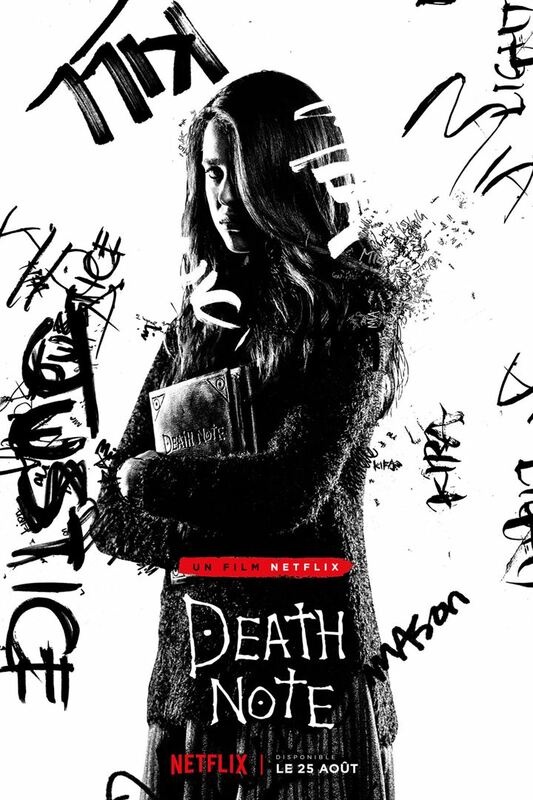 "DEATH NOTE" stars Nat Wolff as Light Turner, Margaret Qualley ("THE NICE GUYS") as Mia Sutton, Lakeith Stanfield ("THE PURGE:ANARCHY") as “L”, Paul Nakauchi as Watari, with Shea Whigham ("KONG: SKULL ISLAND") as James Turner, and Willem Dafoe ("JUSTICE LEAGUE", "SEVEN SISTERS") as the voice of Ryuk the Shinigami. Based on the famous Japanese manga written by Tsugumi Oba and Takeshi Obata, "DEATH NOTE" follows a high school student who comes across a supernatural notebook, realizing it holds within it a great power; if the owner inscribes someone's name into it while picturing their face, he or she will die. Intoxicated with his new godlike abilities, the young man begins to kill those he deems unworthy of life. Directed by Adam Wingard ("YOU'RE NEXT", "THE GUEST"), "DEATH NOTE" will premiere globally on Netflix August 25. Synopsis : Light Turner, a bright student, stumbles across a mystical notebook that has the power to kill any person whose name he writes in it. Light decides to launch a secret crusade to rid the streets of criminals. Soon, the student-turned-vigilante finds himself pursued by a famous detective known only by the alias L.